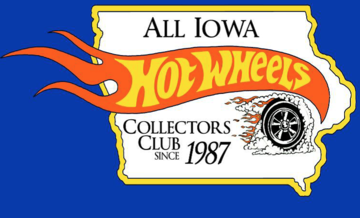 The All Iowa Hot Wheels Collectors Club was born in 1987 when two brothers, Steve and Rodger Tscherter looked for people with the same interest of collecting Hot Wheels. With the help of Mike Strauss and the Hot Wheels Newsletter, they were able to develop a list of 8 to 10 people in the Iowa area who collected Hot Wheels. They wrote and invited these people to a casual meeting at a toy show that was being held at the Best Western Starlite Village, in Des Moines, IA. After the show these few gathered to share their common interest in collecting. This was the beginning of the All Iowa Hot Wheels Club. Now 25 years strong! Thanks for your continuing support!